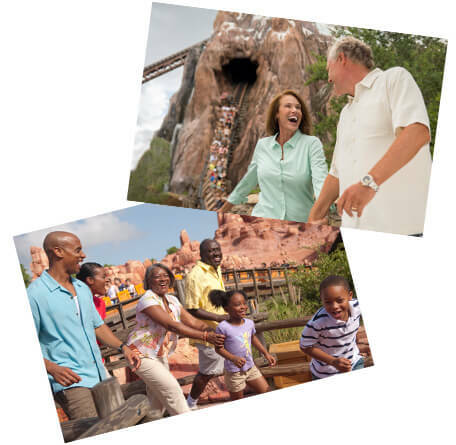 Tips for preserving every magical moment of your Walt Disney World® Vacation. 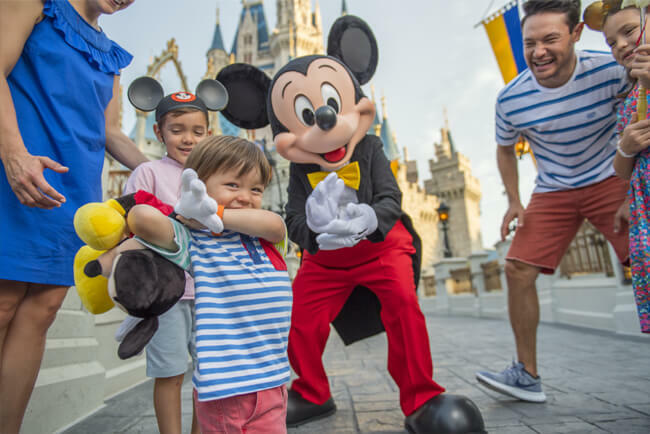 Your Walt Disney World® Resort and Disneyland® Resort vacations will be full of magical moments, and Nikon wants to help you capture and share all of them. Tell your vacation stories as amazing photos and videos with these easy-to-follow tips. As the family documentarian, think about the overall experience youre about to have. Capture the excitement starting early—packing for your trip, getting ready to leave your hotel room, etc. The anticipation will shine on everyones faces. Pack light; bring only the camera gear you absolutely need. You will likely get better pictures and not be as tired at the end of the day. Keep in mind that Disney PhotoPass® Photographers are located throughout Walt Disney World® Resort and Disneyland® Resort using Nikon equipment to assist you in capturing your special moments. Set the correct date and time on your camera before your trip. It will make it easier to sort through your shots later. Bring an extra battery. You may remember to have an extra memory card for taking many pictures, but dont forget to bring a spare battery with you. It can be a long day and if you start using your flash more, you may need to change your battery out before the nighttime fireworks show! So, make sure you charge your batteries every night and pack at least one spare battery. If you dont have a camera bag, bring a plastic trash bag. When you find yourself at risk of getting wetfrom a thrilling ride or a brief rain showerpull out the plastic bag and protect your camera. Additionally, when going from air conditioned indoors to humid outdoors, keeping your camera in a plastic bag for the first 10 minutes will prevent condensation from forming on the lens. For a well-rounded album of your trip, really vary the types of photos and videos you take. Think entire to detailget the entire scene as well as the details. Shoot wide scenic shots, medium shots of people and activities and then close detail shots of food, ticket stubs, postcards and souvenirs. Tell the whole story. Get down to eye level with your kids, try not to look down on them when taking their photo. Document important signage. Youll take a lot of photos and videos throughout your Walt Disney World® Resort and Disneyland® Resort vacation, and taking photos of signage will help you remember where you were and what you saw. In the animal exhibits, take photos of the signs that say which animals are in each area—they will help you identify animals in your photos later. Change your perspective. Get down to eye level with your kids. Photos and videos of children shot at their level are a lot more engaging than those shot from above. Shooting wide (zoomed out) from a low angle can also make children seem heroic, as though they are prince and princess of the castle. When shooting portraits, check your background for objects that are distracting from your subjects. Check particularly around your subjects head and shoulders for things like light poles, signs or trees. If you need to, have your subject turn a bit and recompose the shot. When capturing a group shot, take more than one photo. This will ensure you get the best smiles and that no one had their eyes closed. When youre reviewing photos in Playback, use the Zoom button to make sure everyones eyes were open. Also, to keep people from squinting, always put their backs to the sun. Fill the frame with the most important subjects. Sometimes this means taking a few steps closer or zooming in. If your subjects are in front of something important, be sure to consider how that fits in the frame, too. Remember to capture candid moments, too. A photo of a parent and child walking hand in hand or hugging is sure to bring a smile to your face in the years to come. Also, if you ask someone to take a photo of your family with your camera, adjust your camera settings and zoom before handing it over. Offer the camera strap first so there’s no accidental dropping which can ruin a vacation. The key to capturing action is a fast shutter speed. On Coolpix or Nikon 1 cameras, use the Sports Mode. On a DSLR, pick a shutter speed of 1/500 or above. This will freeze even the fastest action. If your photos are too dark when using a fast shutter speed, turn up your ISO setting. Increasing the ISO will make your photos brighter. A high ISO setting like 800 or 1600 (or much more on some Nikon DSLRs) is great for fast action and low light situations. Most of us know to use a flash when the lighting is low, but did you know you can use a flash in bright daylight, too? This type of flash is called a fill flash, and it removes shadows from peoples faces on bright sunny days. Try it for yourselftake one daytime portrait without a flash and one with it. Youll really see the difference. When youre inside a building and you dont want to use a flash, instead raise your ISO (sensitivity) to 800 or 1600 and brace yourself against a wall to avoid getting blurred images. 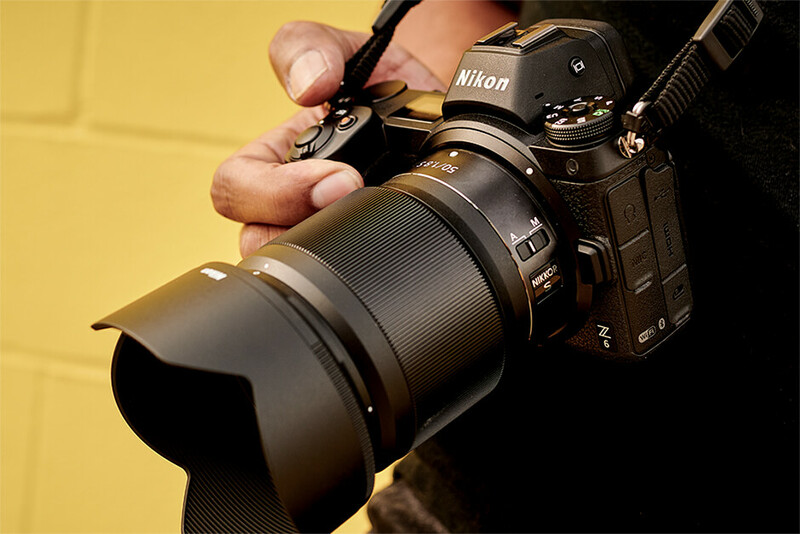 If your lens has image stabilization (Nikon calls it Vibration Reduction), make sure its turned on. Shoot multiple shots to make sure you get at least one good one. Most cameras with built-in flashes have a red-eye reduction setting. If youre not photographing people with your flash, consider turning off this feature to reduce your battery usage. Dont wait to get home to share your photos! Many Nikon cameras have Wi-Fi® photo sharing so you can quickly and easily share your favorite photos while youre still at the park. Luckily, complimentary Wi-Fi is available at locations throughout Walt Disney World® Resort and Disneyland® Resort parks to make sharing your adventures a breeze! 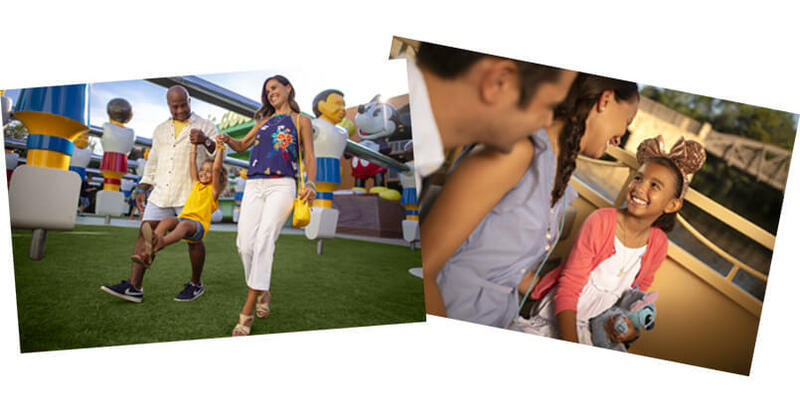 Learn more about sharing photos using Wi-Fi® enabled Nikon cameras.